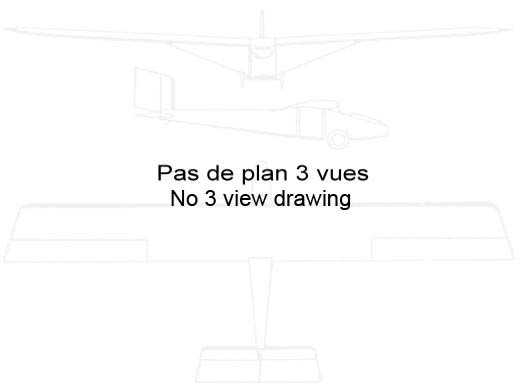 Structure Ailes et empennage bois et toile, fuselage tubes acier soudés. 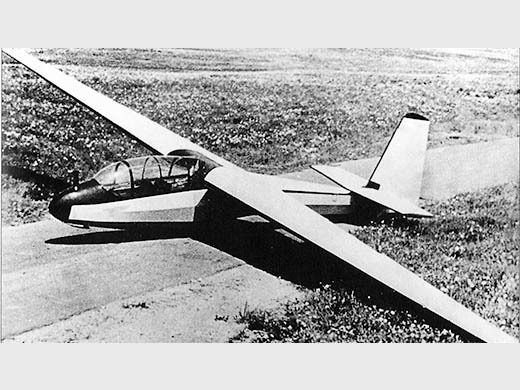 Infos techniques The MAI-56 was a cantilever high-wing glider with fuselage of welded steel-tube truss structure covered with canvas. The closed cockpit canopy opened to the right. The front part of the nose lamp was fitted into the easily removable nose cone ensuring ease of use. The second pilot was placed in the center of gravity of the glider. To improve visibility for the pilot seating ind back seat a Pexiglas covered window was placed over the front wing-fuselage connection. The wing and tail had strong wood structures with with steel and duralumin fittings. On the wing airbrakes were fitted. The single-spar wing had a small backward sweep. The leading edge up to the main spar was covered with plywood creating a torsion box. Ailerons had weight balancing and aerodynamic compensation. The horizontal stabilizer and the fin was plywood covered. Controls were cable activated. The landing gear consisted of a non-retractable wheel, a front skid and a tailv skid of plate spring type. For ease of use a special trailer was developed to the MAI-56 for easy transporting and storing the glider outside the hangar. par KRASILSHCHIKOV, A. P. (2005) [p. 237, 245, 333. Note + photo + specs].